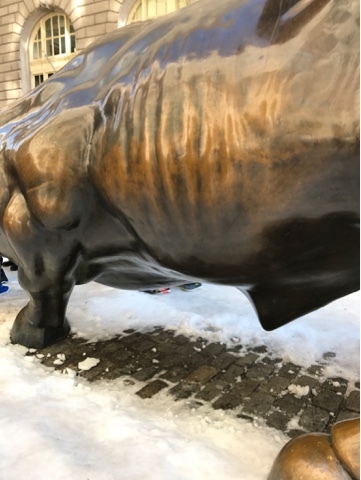 Located in New York City's financial district, the Charging Bull is an 11 foot tall, 7,100 pound bronze statue sitting right in the middle of the street. 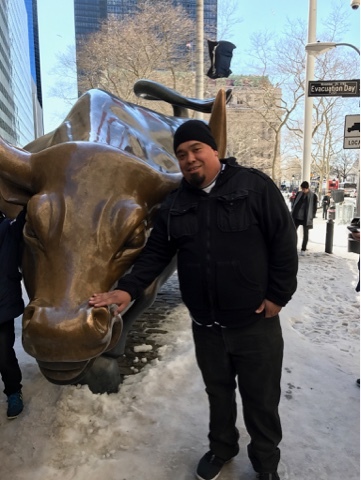 People come from all around to get a glimpse of the Charging Bull and to touch it. Apparently it's really good luck to touch is on the balls and on the horns. 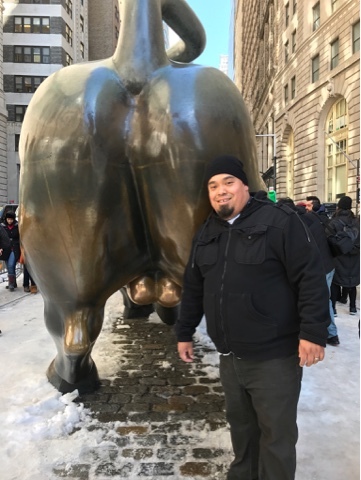 The bull symbolizes Wall Street and is a New York staple. It's been featured in several movies including Hitch, Inside Man, The Other Guys and many more. So many people have came to touch the bull that the bronze has worn off in several places. He obviously gets a lot of love from people daily. 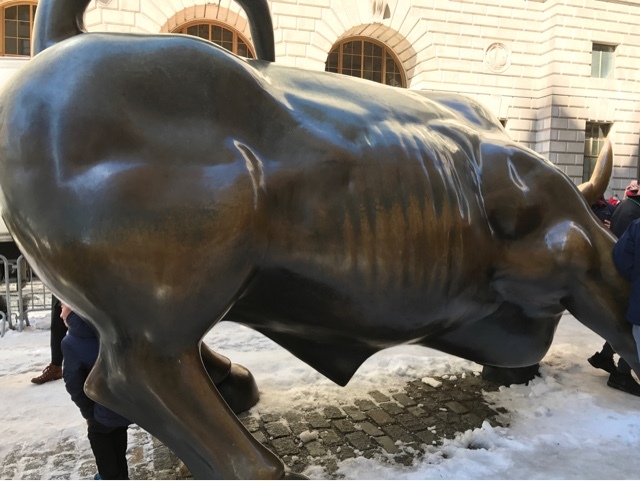 Recently the city gave the Charging Bull some company and added an addition statue facing the bull. 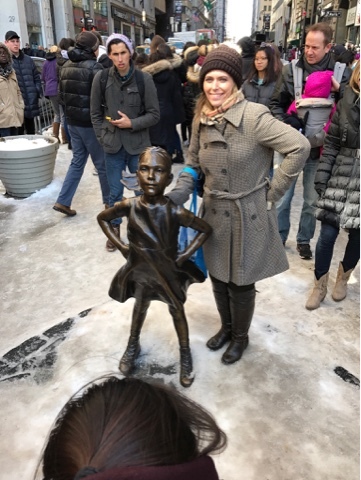 She is known as the Fearless Girl who stares down the charging bull. She was originally placed there before International Women's Day but has since been left up as a symbol to show that women are strong. The next time your in NYC swing by and see these iconic statues. It was very busy the day we were there but it was also a holiday.